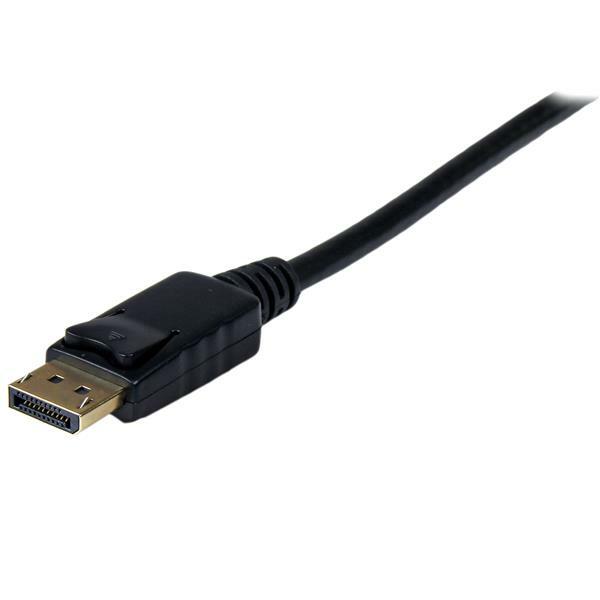 The DP2VGAMM6 6ft DisplayPort to VGA (M-M) Cable lets you connect a VGA capable display to a DisplayPort video card/source. 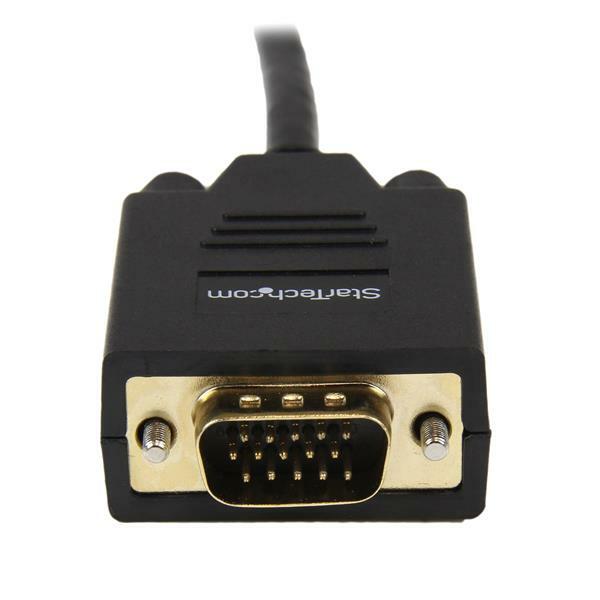 The cable provides a connection distance of 6 feet and features a male VGA connector and a male DisplayPort connector. 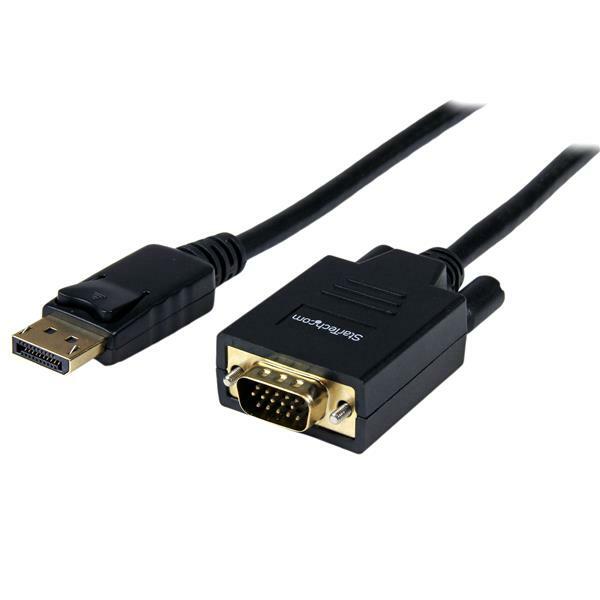 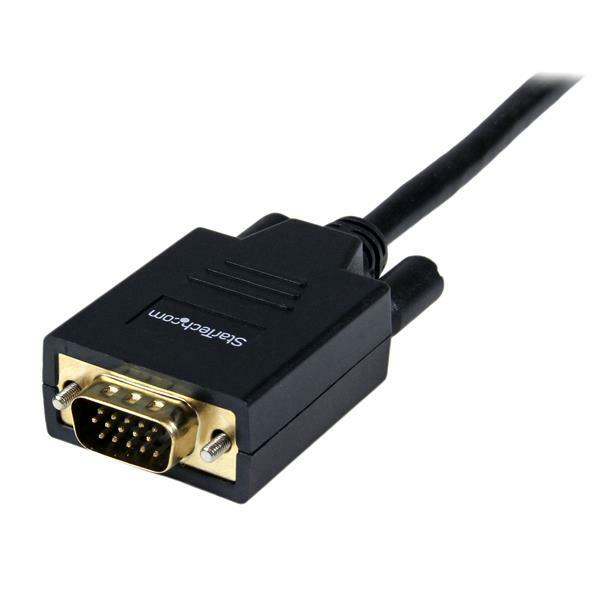 The DisplayPort to VGA adapter cable supports high bandwidth video transmissions, easily delivering monitor resolutions up to 1920x1200 or HDTV resolutions up to 1080p - allowing you to take full advantage of your VGA display, while using a cutting edge DisplayPort video source.